Spotted this puffed-up white-crowned sparrow on the rosebushes near the feeders. I think it’s the waiting area when there’s too many birds in the restaurant. With lots of snow and cold temperatures, the birds are going through seed like crazy. I got my camera back out to try to capture the happy Oregon Juncos at the feeders in the snow. Not a great photo, but a very happy bird. 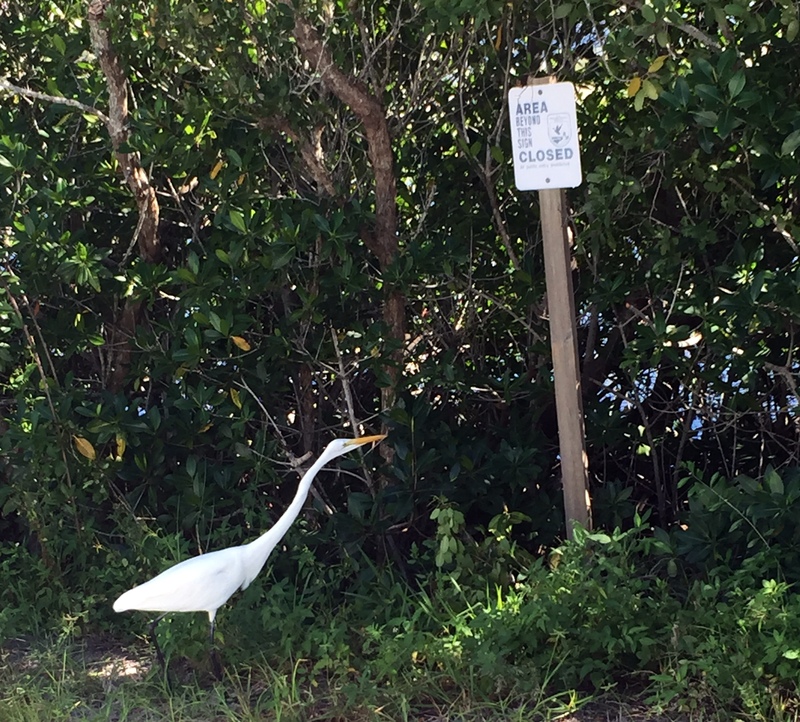 I don’t think this great white egret is too impressed by this sign. Just a flock of ibis. No big deal.